In order to spread the word about this day and its significance, TermCoord has chosen “literacy” as the IATE term of the week. According to the Cambridge English Dictionary, the word “literacy” comes to refer to “the ability to read and write”, while at the same time it can also have a much broader meaning, that of ” knowledge of a particular subject, or a particular type of knowledge”. 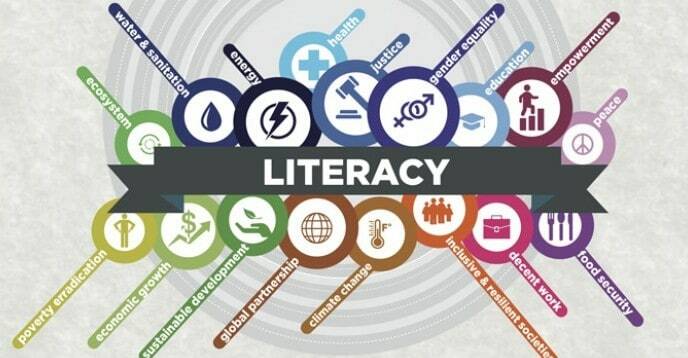 – literacy as an autonomous set of skills: the cognitive skills of reading and writing; other skills and competencies such as “information literacy”, “visual literacy”, “media literacy” etc. – literacy as text: focuses on the nature of texts that literate individuals consume and produce. An umbrella term that is nowadays often used by scholars in order to avoid all this confusion is that of “multiple literacies”. Context-specific ways of ‘reading the world’ have to be developed within distinct contexts (such as technological, social, information, health, visual, media, political and economic ones), so that the individual can cope with the existing reality.